Give your child a true taste of adventure this summer when you choose one of these excellent summer camps in the Adirondacks and surrounding region! Looking for tips and other summer camp resources for parents? Discover our Adirondack Summer Camp Guide! Summer camp is a fantastic way for your kids to stay active and have fun outdoors. Lake Clear Camp is an overnight Girl Scouts summer camp in the Adirondacks that features amazing waterfront activities and more! Summer camp at Adirondack Woodcraft Camps means adventure, fun, and building skills and friendships that last forever. 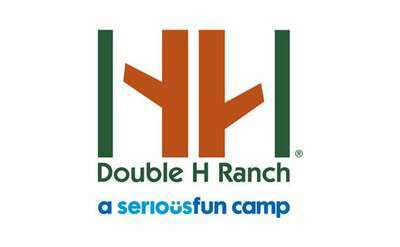 Campers ages 6 to 15 and Teen Leaders ages 16 and 17 thrive in a safe, non-competitive family atmosphere. 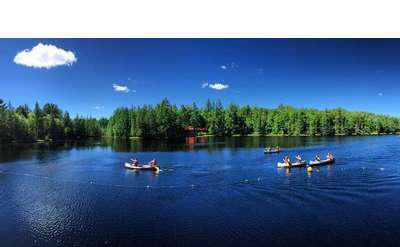 Brant Lake Camp is a private, residential sports-oriented camp for boys ages 7 through 15. The camp has an ideal location on Brant Lake with its own private waterfront. Core sports include basketball, baseball, soccer, and tennis. Long Lake Camp For The Arts is a co-ed overnight camp for ages 8-16 with programs in theater, music, dance, fine arts, magic, comedy, film, and more. Artists and performers of all ability levels are welcome. At Point O'Pines Camp For Girls, your daughter will make friends and memories to last a lifetime. 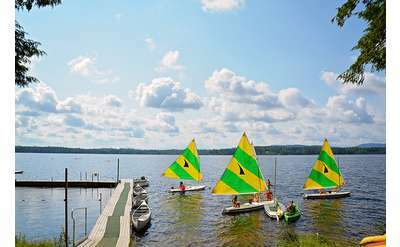 Located on Brant Lake, campers have abundant opportunities for new experiences and adventures. Located in Warrensburg, Camp Echo Lake is a co-ed overnight camp. Throughout the seven weeks, campers are unplugged from their electronics and outside distractions, so they can focus on having fun and making memories. Adirondack is an overnight summer camp on Lake George for boys and girls ages 7-17. Activities include water sports (canoeing, fishing, swimming, etc. ), land sports (archery, basketball, tennis, etc. ), arts, and wilderness adventures. Forest Lake Camp sits on just over 800 acres in the Southern Adirondacks. The camp offers separate programs for boys and girls, with a wide range of activities and opportunities for skill development.